Oldham scored the opning try on twelve when Dave Hewitt intercepted a Jordan Lilley pass to have a unopposed fifty metre run to score under the posts and give Luke Hooley a simple conversion for a 6-0 lead. On fifteen the home side were 10-0 ahead when a cross-field kick was knocked back into the hands of Matt Reid to ground. This time the conversion was missed but the Bulls had been shocked by the opening from Oldham. A delayed pass from Dane Chisolm found Matty Storton to cross for the opening Bulls try. 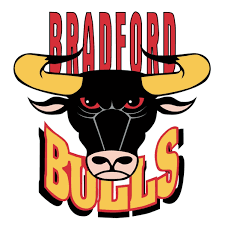 Joe Keyes added the extras for 10-6 and the Bulls were back in the game with twenty on the clock. A seventy metre try from Jy Hitchcox saw him weave through the Oldham defence to sprint to the line for the Bulls second on thirty-four. Keyes added the conversion and the Bulls had a two point lead. On thirty-six substitute George Flanagan dummied and went for the line for the Bulls third. Keyes again added the extras for 18-10. Just a minute had passed before Ross Peltier barged his way over for the Bulls third try in four minutes. Keyes again converted for 24-10. After a shaky start the Bulls found their form twenty metres in and dominated the second twenty to take a commanding half time lead. On fifty-one the task for Oldham became much harder when Ben Davies was red carded for dissent, the home side down to twelve men for the remaining thirty. The twelve men laid seige to the Bulls line but the defence held firm until Craig Briscoe found his way over with just three minutes left on the clock. Luke Hooley added the conversion for 16-24. After a last minute brawl, Oldham’s Luke Nelmes was red carded, and Luke Hooley was sin-binned with Oldham finishing the game with ten men. Oldham dominated sixty minutes of this game and must class themselves as unlucky not to get something out of it. The Bulls won the game in a five minutes spell at the end of the first half and then held on against the twelve men. The visitors will want to forget their second half performance and just be glad of the two points. If these two meet again in a fortnight at Odsal in the play-offs then it will be an interesting encounter. Oldham: Hooley (2G) (SM on 79), Kershaw, Reid (T), Holmes, Johnson, Owen, Hewitt (T), Neal, Hughes, Joy, Briscoe (T), Langtree, Bent. Subs: Spencer, Wilkinson, Nelmes (SO on 79), Davies (SO on 50). Bulls: Pickersgill, Hitchcox (T), Gibson, Egodo, Ryan, Keyes (4G), Chisolm, Kirk, Lilley, Crossley, Storton (T), Minchella, Wood. Subs: Flanagan (T), Bustin, Green, Peltier (T).